The world of Undecima was shattered due to a terrible cataclysm into eleven planes thrown apart into a void and faintly connected by the same arcane magic that tore it apart. Now it lies in ruins and ruled by cruel and merciless wizard, who has in his possession the Crown of Ultimate Power – the great artifact that can give supremacy to anyone who holds it. 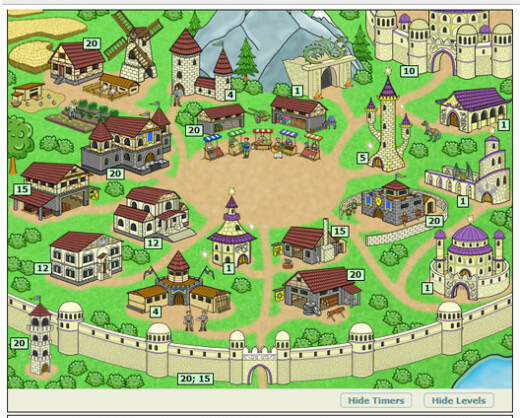 Your target is to advance through the levels until you reach the last one (where Undecima Town is located and the evil wizard resides) capture the Crown, hold it for three days and claim yourself the true Ruler of Undecima and ultimately win the Game. 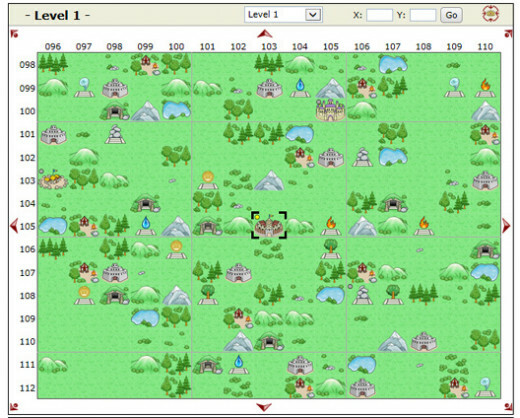 All players from the very beginning and to the very last level will be placed randomly but at the best possible location for their score, which means that you will be always surrounded by players of approximately the same level as you are, reducing the chance of blatant farming by stronger players. If you happened to have a strong, but nasty neighbour, a likelihood of you residing to this very same person on the next level is very low as his/her score likely would be different from yours, so nobody is "doomed". If you happened to be cornered and continuously under attack, at some point, the "Last Stand" protection will trigger in and give you a chance to recover, regroup, renegotiate, and defend yourself better. There are alliances in Undecima, but they do not work exactly the same way as in many other strategy games. All diplomatic relations in the world of Undecima are strictly between any two players and do not involve any other players. In other words, the alliance is only your personal relation to another player. 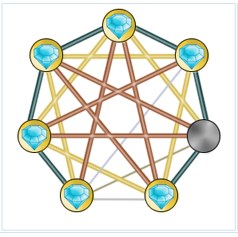 Any number of players still can form individual alliances between themselves, but the fact they are "individual", should reduce a chance of "ganging up" and forming a dominant group or groups that will control the game. 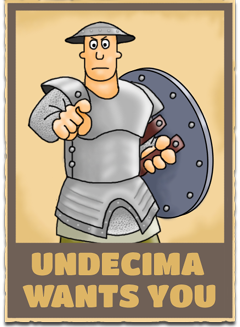 And last but not least, Undecima is designed the way that even if you start playing when there are players already on the last level, there is still a chance for you to win the game. It may not be easy, but it would still be possible. There are only two resources in the game – Gold and Food. You need them both for building and improving your structures, training your troops, researching upgrades and skills, and also for paying upkeep of your buildings and troops. Gold and Food can be generated in your town or can be looted from other players or neutral locations. You can also sell and buy Food on your market. When the World of Undecima fell apart, the souls of the people who died in the cataclysm were trapped in the Soul Gems and scattered throughout the whole World. They are the essence of Undecima and possess the magic that can transfer you between the levels. 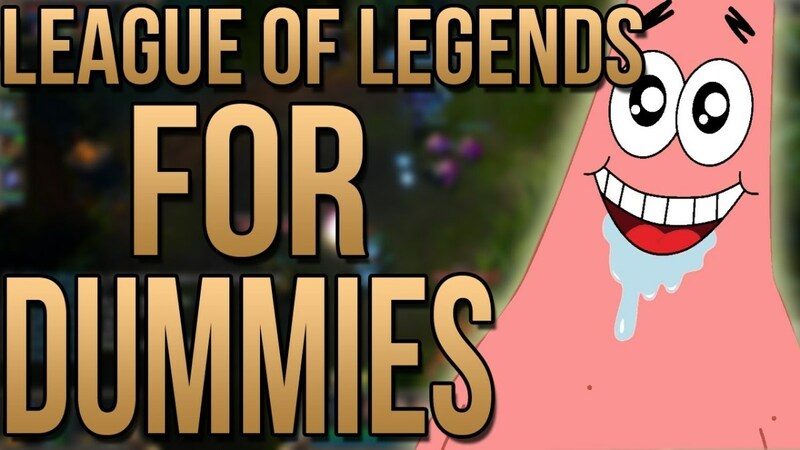 When you start playing, you are given one Soul Gem. Collecting seven Soul Gems will activate a Soul Orb that will transfer you and your town to the next level. The only way to get a Soul Gems is to capture it from another player or from a Bastion. 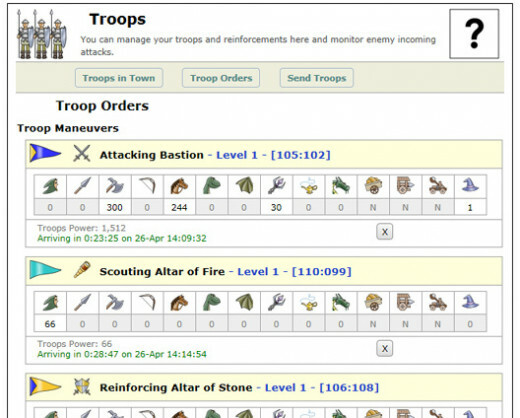 There are three classes of troops in Undecima: town troops that you can train in your towns, mercenaries that you can hire from mercenary camps, and neutral guards that defend altars, bastions, dungeons, and other neutral objects. All units have skills and abilities that make them unique in the game and useful under specific circumstances. For example, a Pikeman, a basic neutral unit that is available from the very beginning of the game, is strong in defense and does an extra damage to any mounted troops, which can make it useful even at the end of the game. 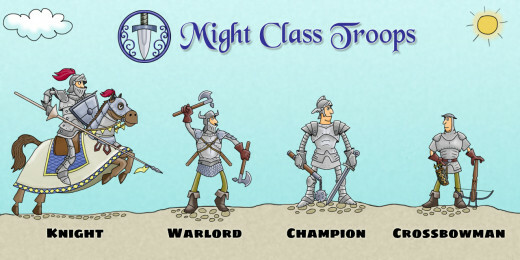 Each town class has also special Commander units that can lead your troops in battle. There is a vast amount of upgrades, researches and improvements available in Undecima. You can upgrade your buildings to improve their productive efficiency. 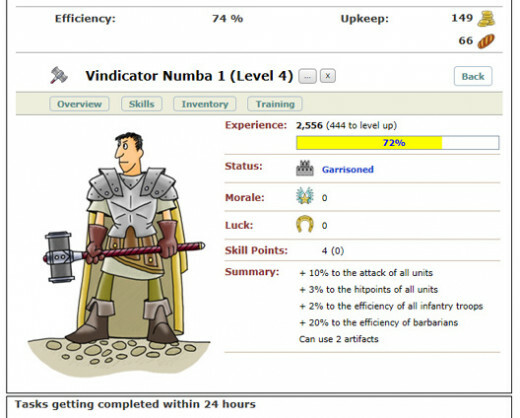 You can improve efficiency of your troops by researching upgrades in your Blacksmith and Library. Your Commanders will level up while gaining experience in battles and will improve efficiency of your troops with their skills as well. Let's not forget about Artifacts, which you can capture from Dungeons or buy them on your Market. The battle system is simple but yet efficient, realistic and very flexible. You can use either your own troops, reinforcements from your allies (for defense only), or you can hire mercenaries. The range of military actions consists of scouting, attacking, defending, reinforcing, counter-attacking, and intercepting. To give an example, let say somebody is attacking your Town. You can either just simply defend it with your troops, or you can scout incoming troops to see what troops are coming. Then if they are too strong for you, you can possibly dodge them, giving away whatever you have in your town. Or you can hire mercenaries and boost up your defense. On the other hand, if you have a strong offensive army, which is not good in defense, you can counter-attack your incoming enemy and you can add mercenaries to fight together with your town troops. Finally, you can dodge the attack, but then intercept you enemies while they are returning after attacking your town. be purchased as a subscription, or can be received as a bonus in the game. having a premium account, will stay with you when your premium account expires. Throughout the game as you complete various tasks and missions, you will earn points that will be accumulated to your Score and will determine your Overall Rank. While accumulating points for your Overall Rank, the same points are used for calculating your weekly progress, which is recorded as Weekly Rankings. Top 10 players in each category of Weekly Rankings (military, upgrades, research, and looting) will get medals and ribbons, which will show their Ranks and will be put on display on their Player Profile screen. 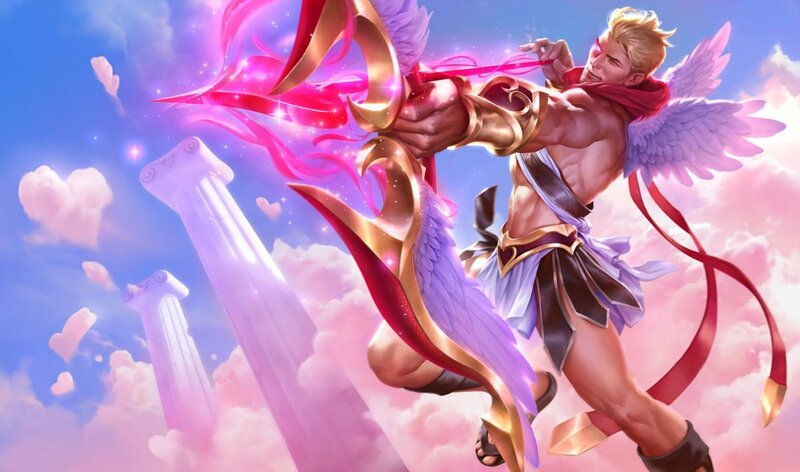 In addition, players who achieve Rank #3 or higher will receive free days of premium account, varying from one day to over three weeks depending on the rank in each category a player takes. Besides the thrill of competing against other players, there is a set of personal Achievements that any player can accomplish. 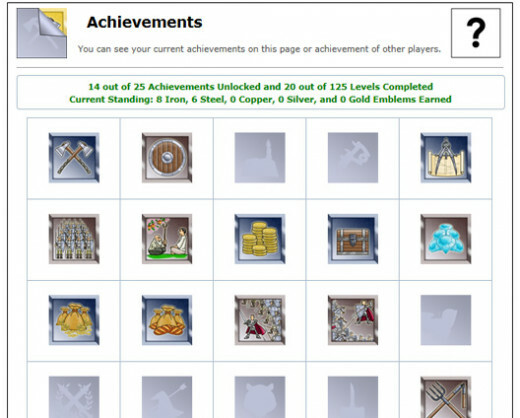 There are 20 different Achievements in total and each one has 5 levels in the following progression: Iron (1), Steel (2), Copper (3), Silver (4), and Gold (5). The ultimate target is of course to get all of them in Gold. The last reward, but not the least, goes to the winner of the Game, who gets free Premium Account for the length of any other Undecima world he decides to play. All players that get top scores and manage to get in the Hall of Fame, will also receive free Premium Account but for shorter periods. The World of Undecima lies in ruins, but the surviving forces of Nature, Faith, Magic, and Might seek to get rid of the cruel Emperor and restore their kingdoms. Now it can be up to you to claim the Crown of Ultimate Power and use it again for Good. Whether it’s the steel of Might, the power of Magic, the spirit of Nature, or the light of Faith, you shall face your enemies with courage and honour and prove yourself as a True Ruler of the World of Undecima. Undecima Wants You!